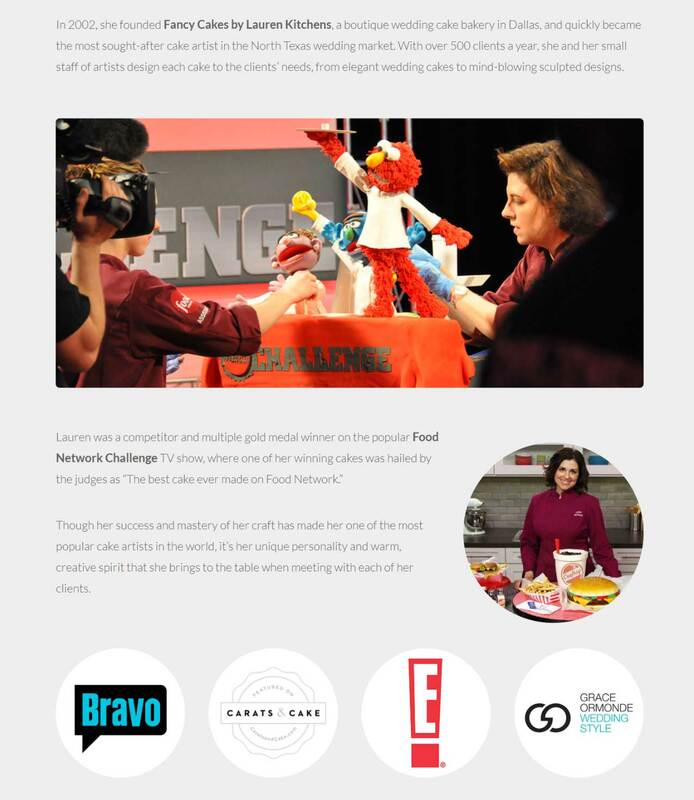 Lauren Kitchens, the business owner of the well known Fancy Cakes by Lauren, contacted me through a previous client needing help with her brand. The business needed a design refresh and I was tasked with coming up with a modern look for the brand. I worked with Lauren to create a new logo that was closer to her high level product. I was also tasked with creating a style guide and stationery for the business. I created a system of logos that each solved specific needs for her products. I also provided a style guide for the business to follow when creating collateral material. I also updated her company’s website based on her request to showcase her work and the history of her business.